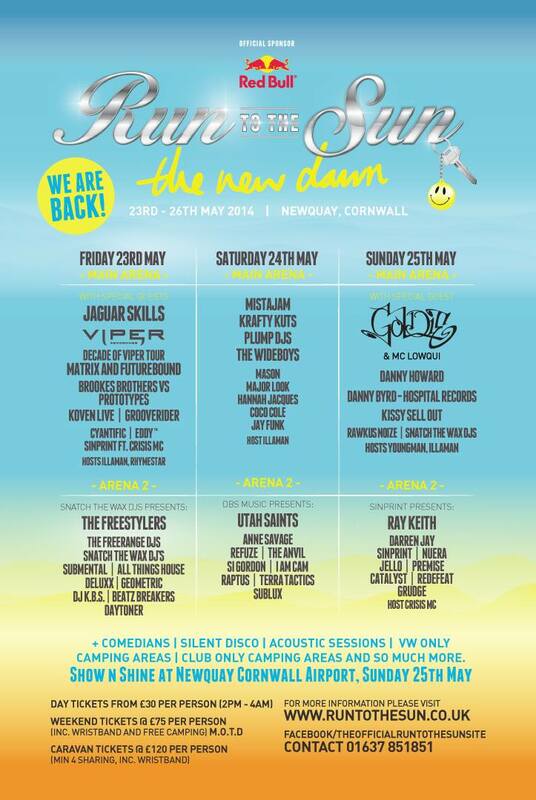 The Run to the Sun Festival has been revived and coming back in full force for 2014 with a host of exciting acts appearing in Newquay. 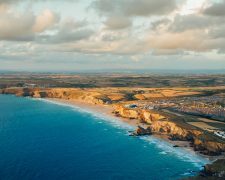 Newquay View Resort (formerly Trevelgue Holiday Park) is the venue for this annual festival steeped in history with the Show ‘N’ Shine event that draws many car enthusiasts each year. Newquay Airport became the New Home of our Show ‘N’ Shine for 2012, and what a show it was, 2013 saw record numbers of both visitors and Show Cars, and we are pleased to announce that we are back there for what is shaping out to be the best show yet for 2014 – THE NEW DAWN. Acts such as Jaguar Skills, Matrix and Futurebound, Utah Saints taking to the stage over the weekend. 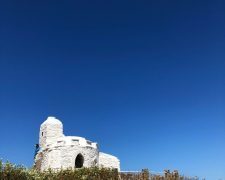 The Main Arena is where to find world-class DJs, all night every night; from eight in the evening until (if you can hear them) the birds start singing eight hours later. Arena 3 – FITZ & GIGGLES, Here you can get warmed up for the evening with a few hours of top comedy, led by our Host for the weekend, FITZ. Then come 11pm we will be inviting back the ever popular Silent Disco.